Digital X-Rays or also known as Digital Radiography is an effective way to conduct a thorough examination of your mouth. It gives a clear picture of your dental health and helps our dentist to treat you effectively. This allows us to exceed our clients expectations and offer a service that will put their dental health as a priority. The latest technology helps in locating dental problems like gum abscess, teeth cavity, endodontics, root damage and many other issues that are invisible to the naked eye. Instant image which aids in quicker treatment. Here are some FAQs that pop up regularly. Are Digital X-Rays safe for me? Digital x-rays use very low doses of radiation making it a safer option and usually use one third to one half the radiation of the old small film x-rays. What about kids? Are Digital X-Rays safe for my child too? Digital X-Rays are completely safe for children. Our team at Dentistry on Ellesmere takes adequate precaution before a digital x-ray procedure is carried out on all our patients and reduce the amount of radiation for children. How many times am I required to take digital x-rays? Our dentists will only conduct a digital x-ray when it’s needed. 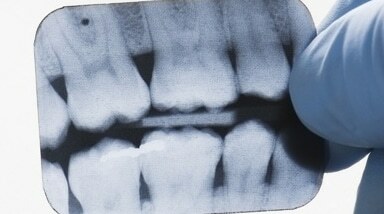 A digital x-ray may be required when you come in to the clinic for the first time as part of your complete oral exam. The images of the x-ray go into your medical file so we can refer back to it, and provide you the best dental treatment. How much radiation results from x-rays? An adult series of x-rays is equivalent to one day of radiation in the sunshine, a single x-ray is just the equivalent to 30 minutes in the sunshine.Digital X-Rays or also known as Digital Radiography is an effective way to conduct a thorough examination of your mouth. It gives a clear picture of your dental health and helps our dentist to treat you effectively. This allows us to exceed our clients expectations and offer a service that will put their dental health as a priority. The latest technology helps in locating dental problems like gum abscess, teeth cavity, endodontics, root damage and many other issues that are invisible to the naked eye. Copyright 2018-2019 © Dentistry on Ellesmere.